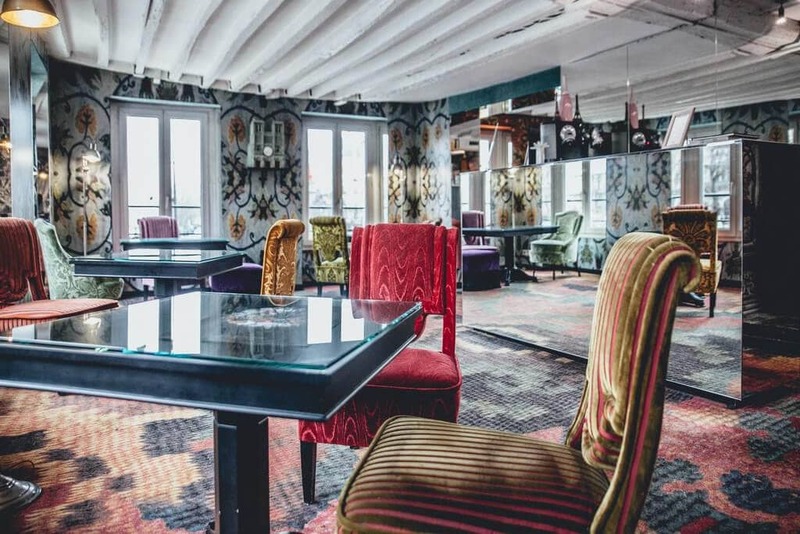 This exceptional boutique hotel, which is nestled in a listed Paris building featuring interesting architectural details, has been fully refurbished by Christian Lacroix. 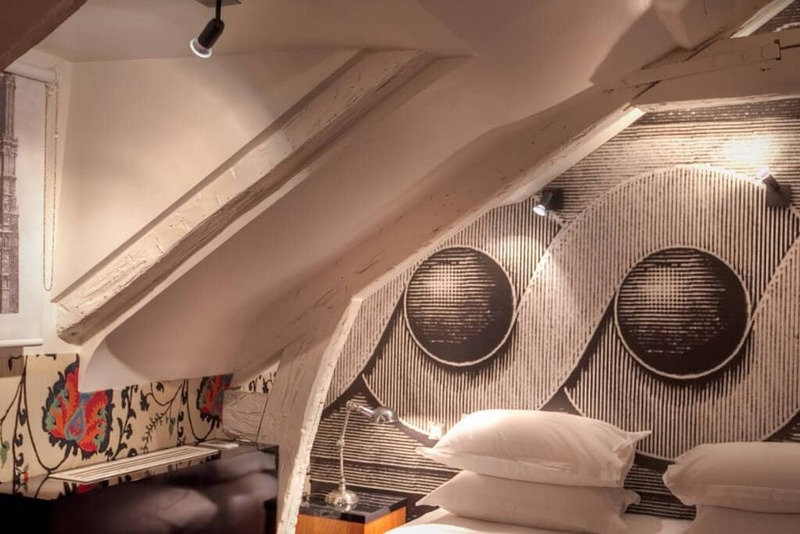 The famous French designer has combined art masterpieces, rich fabrics, antique and modern pieces of furniture and couture details to offer each room a unique look and atmosphere. Every detail has been carefully thought out to make your stay an unforgettable one. 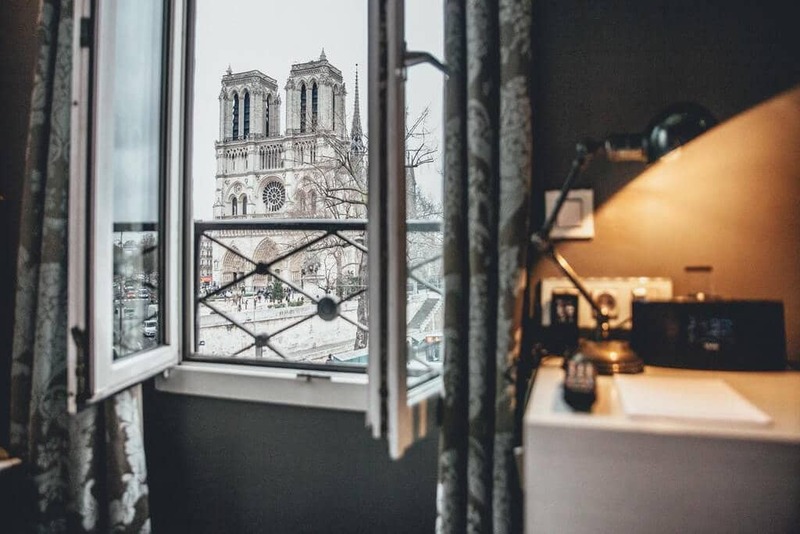 The Notre-Dame Saint-Michel Hotel is located in the Latin Quarter, an area steeped in history in the 5th arrondissement of Paris. You will enjoy this prime central location which offers great Metro and RER train links to all Paris’s landmarks and attractions. There is plenty to see and do in the Saint-Michel, Saint-Germain district. You can stroll along the banks of the Seine and browse through the second-hand book stalls, meander through the narrow streets of the Saint-Germain district or the Latin Quarter and discover numerous art galleries, cafés and restaurants. Walk across the Saint-Michel Bridge and explore the Ile de la Cité, the cradle of Paris, home to Notre-Dame Cathedral.